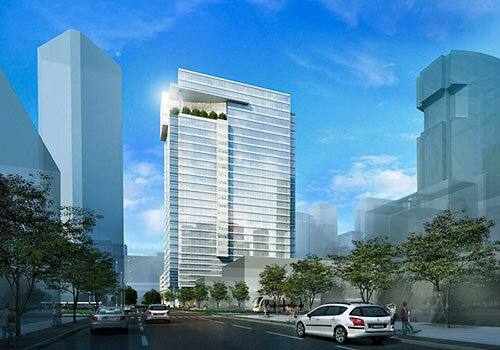 Profile: Houstonians were already discussing this tower's amenities before it broke ground. In the plans: 10 to 12-foot ceilings, a concierge floor, rooftop gardens, fitness center and 150-seat conference center, bike storage, coffee bar and lounge, and nine levels of parking and a glass skybridge to One Houston Center. HKS Architects is aiming for LEED Gold certification.